Natural8 Poker is is the biggest and best Asian poker room, and the number one flagship skin for the GG Network. GG Network is currently the 5th biggest poker room in the world, and the fastest growing one by far. Put on the number one spot on GG Network, Natural8 offers promotions packed with value, so it’s a good choice for anybody who wants to enjoy soft games, great tournaments and amazing bonuses. There is no lack of action on Natural8 Poker, as it offers a wide variety of cash games including Texas Holdem, Pot Limit Omaha, MTT’s and SnG’s. One of the best features about Natural8 Poker is that you don’t need to download an app, but just log in and play, but we’ll discuss this later in the review. There’s a lot of value hidden in this poker room, so check out our in-depth Natural8 Poker Review below! The following Natural8 Poker Review was conducted by our dedicated poker experts with years of experience in the online poker world. The poker players tested Natural8 Poker’s games, and overall performance of the software, where it got high remarks. Our poker pros speak highly of the traffic as well as how soft the competition is. What got our testers excited the most was the software. They reported that the overall performance was snappy and expertly made. What surprised them more was the instant play option, which allows the user to just log into their account and play in-browser. Our poker experts concluded that Natural8 Poker really is worthy of being the number one in GG Network. How to open a Natural8 Poker account? 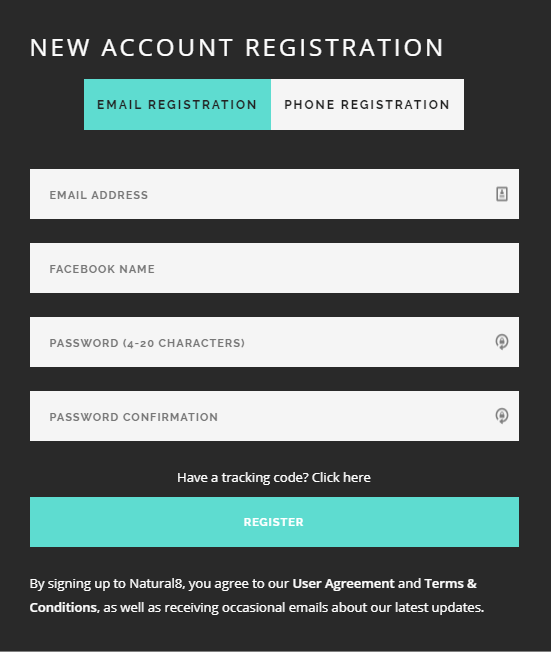 Joining Natural8 Poker is as easy as ever. To make it even easier we put together a simple step-by-step guide on how to register on Natural8 Poker that will help you get set up and claim your 100% UP TO $1,688 FIRST DEPOSIT BONUS bonus, so you can start crushing in a matter of minutes. 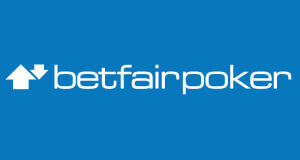 Please delete Cookies (important) and then CLICK HERE to get re-directed to the signup page of Natural8 Poker. Once there, scroll down and click the “JOIN US NOW” button in the middle. After that, you have to click on “View live games” which will take you to the client where you Log into jour account. Note: If you intend to play on the browser enable Popups by clicking in the far right of the url window and selecting alow popups form this website. You can then customize your account as you want. Now that your account is all set up, it’s time to make your first deposit and claim the 100% UP TO $1,688 FIRST DEPOSIT BONUS. To do that, simply navigate in your client to find the cashier and deposit a minimum of $100 to your bankroll. We mentioned at the start of the Natural8 Poker Review that Natural8 Poker offers a lot of awesome value-packed promotions. Those include a massive first deposit bonus, multiple Rake Races, and other thrilling events with additional prizes. On top of that our players can enjoy the benefits of our promotions, such as the flagship $15k RAKE RACE. Natural8 Poker offers a generous 100% UP TO $1,688 FIRST DEPOSIT BONUS to all players making their first deposit. For every $50 you pay in rake, $10 will be released to you, up to a maximum amount of $1,688! To activate it, navigate to My Bonus (present at the bottom right of the screen) and find the First Deposit button and activate it. Via our fantastic Natural8 Poker Rakeback Deal you can receive up to a staggering 50% Rakeback plus access to several high-value promotions, where on top of that you can earn a lot of extra money. 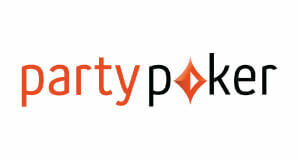 The rewards or Rakeback program on Natural8 Poker is known as Fish Buffet Points. 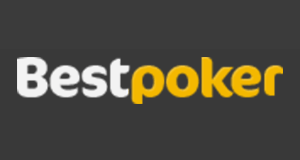 All first-time depositors will receive a ticket for the $500 Weekly First Depositors Freeroll taking place every week Saturday to Sunday starting 9 PM (UTC+8). After depositing $10 you will receive an $8 bonus. You are eligible for the bonus after you’ve made the deposit of $10 and verified your account. In this Chase, the top 9 Natural8 Poker players with the highest total Elite Points earned monthly get a share of the $8,888 Cash prize. Earn Elite Points by playing real money cash games, multi-table tournaments, AoF, and Fortune Spin games. Note: The promotion is available to all Natural8 Players! Looking to get the most out of your Natural8 VIP Club experience? Then join The Natural8 VIP Club Rake Race! In this race the top 15 Natural8 VIP Club members with the highest total VIP Club Points earned during each month get a share of the $3,000 prize. Earn VIP Club Points by playing real money cash games, multi table tournaments, AoF and Fortune Spin games. Note: This promotion is only available for exclusively Natural8 VIP Club members. For those who play the highest stakes in Omaha, there is $45,000 worth of premium Blade tickets waiting for them. Play at the Natural8 Poker Omaha Featured Tables (across 4 stakes) → Rack up HRC Points → Ascend up the Leaderboard → Score Premium Blade Series tickets! For those who play the highest stakes in Hold-em, there is $45,000 worth of premium Blade tickets waiting for them. Calling to all MTT grinders, jump into the tournament action on Natural8 Poker and boost your winnings with the $100,000 MTT Race. Join the $100,000 MTT Race on Natural8 Poker and accumulate Leaderboard points to collect your share of the prize. Join Natural8 Poker in April and ensure yourself a slice of the massive $100,000 All-In or Fold Festival! Just like other rooms on the GG Network, Natural8 Poker runs on the software built by NSUS Ltd. 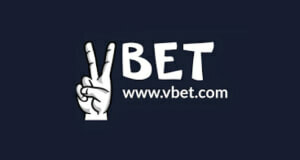 The software is a favorite of many online poker players worldwide. It is well built, runs smoothly and is visually appealing. As said before you can either download the software or just log into your account and play. You can customize your account as much as you want so that you can personalize your poker experience as much as possible. 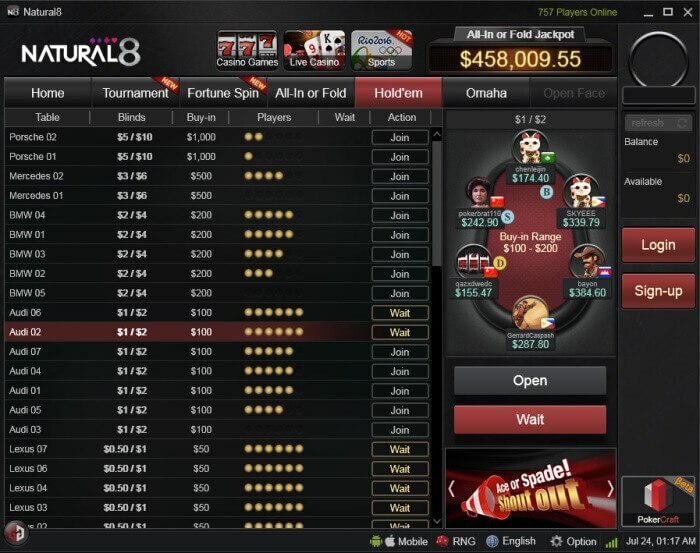 Natural8 Poker receives a huge amount of traffic through the day, with soft games and a wide variety of games such as Texas Holdem, Pot-Limit Omaha, All in or Fold and a fantastic tournament schedule. You may deposit through the Cashier with the payment methods listed below with the Natural8 app. You can also deposit using cryptocurrencies via Coin Payments. Natural8 Poker a reputable online poker brand and a part of a large and stable GG Network, so you do not need to be concerned about your bankroll. Payments are processed in a timely matter and without delays. We recommend this Natural8 Poker Rakeback Deal to all players looking for a solid online poker room with a wide selection of games and soft competition. Natural8 Poker is the biggest and best Asian poker room and flagship skin of the very popular GG poker network. GG is the fastest growing online poker network on the planet and currently the 5th biggest poker site in the world. That means the traffic is very decent and stable and the competition of the softest on the World Wide Web! There are many inexperienced Asian players, so you will find several fish on every table. 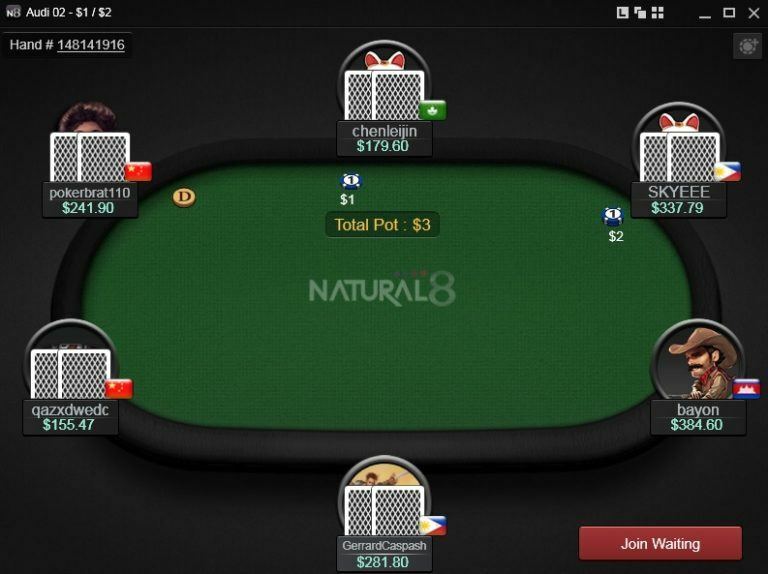 As mentioned above the traffic is already very decent, but as Natural8 Poker is the leading Asian poker site and this market has great potential it will continue to grow even more in the next years. At the moment there are up to 6,000 players and an average of 1,400 cash players online, with lots of them coming from countries like China, Japan, Malaysia or Indonesia, where poker is a relatively new game, means they lack experience. On top of that Asians love to gamble, that’s why the games are among the softest you can find on the internet. Natural8 offers a wide variety of games including Texas Holdem, Pot-Limit Omaha, MTTs and SnGs. 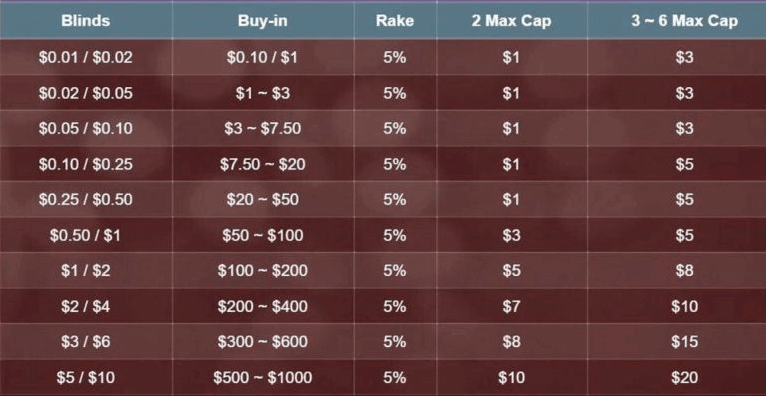 Together with the fantastic first deposit bonus of 100% up to $1,688 and 50% rakeback Natural8 can be very profitable for experienced players. The Natural8 Poker software is modern and offers players nice 3D graphics. There are a lot of customization options and the tables tile beautifully to make multitabling easy. Another great function is that you can save hand histories directly on your computer. The tables have several customization options to make multitabling easy. 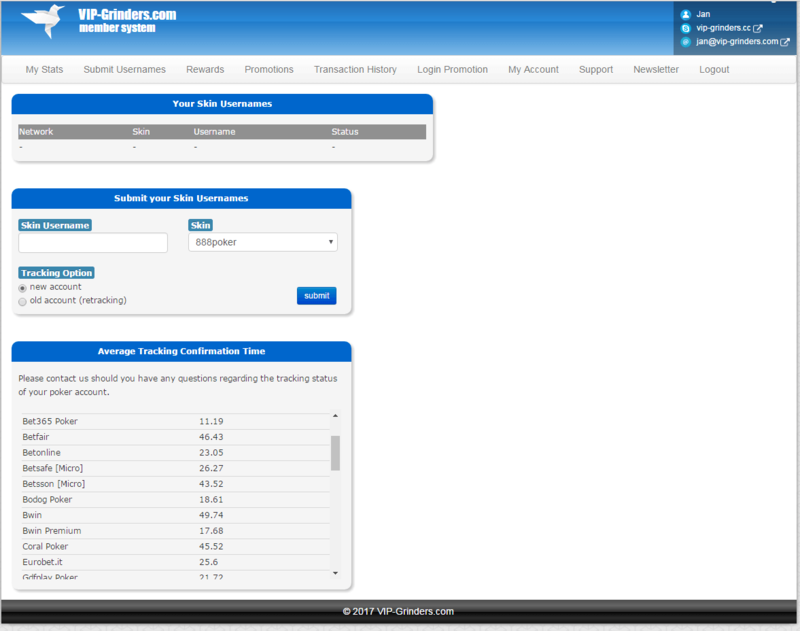 The Lobby is clearly structured, so you can find quickly what you are looking for. 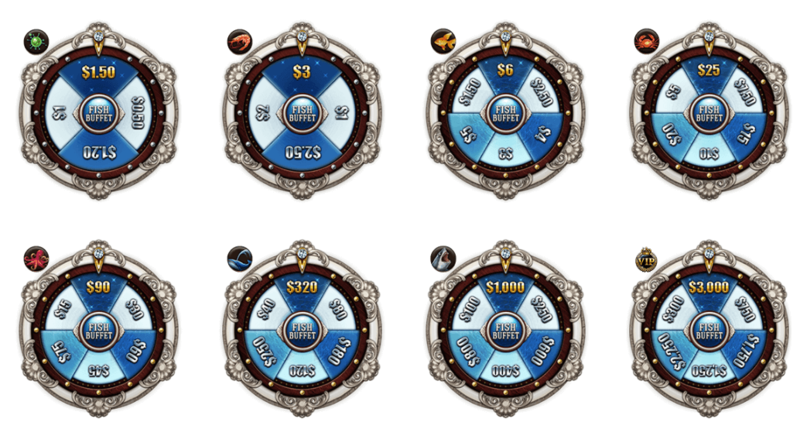 Natural8 Poker is available for Android and iOS and has a very decent mobile client, so that you can play from everywhere. The Natural8 Lobby is well-structured and easy to navigate. 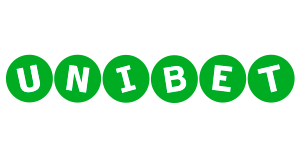 The site has recently added Neteller, Union Pay, WeChat Pay, China and Thailand Bank transfer as well as MasterCard/Visa to its deposit options. Skrill is also available making deposits and cashouts safe and quick. In addition to that, deposits and withdrawals are also available in several cryptocurrencies such as Bitcoin, Ethereum and Bitcoin Cash. You are receiving up to 50% rakeback via our fantastic Natural8 Poker Rakeback Deal plus access to several high-value promotions, where you can earn a lot of extra money on top. Natural8 is already the leading Asian online poker room and has enormous potential as a lot of customers come from promising markets such as China, Japan, Indonesia, Malaysia or the Philippines. That’s why the tables are full of inexperienced players and can be very profitable. The software is modern, reliable and available for Android and iOS. 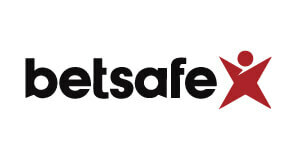 There are several quick and safe cashout options such as Skrill and Neteller available as well. As the traffic continues to rise constantly, we promise Natural8 Poker a great future. Sign-up with Natural8 Poker below. Make sure to use Sign-Up code “HHK” during registration. Submit your Natural8 Poker Username here.